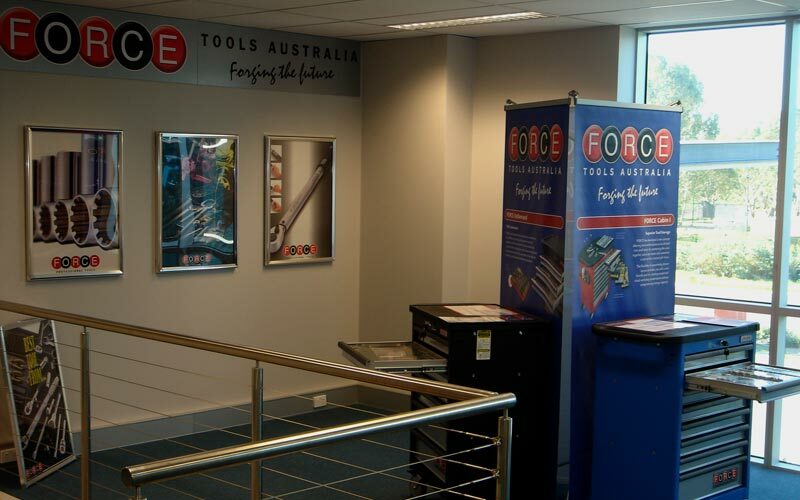 Welcome to Australia's first official FORCE Tools product launch. 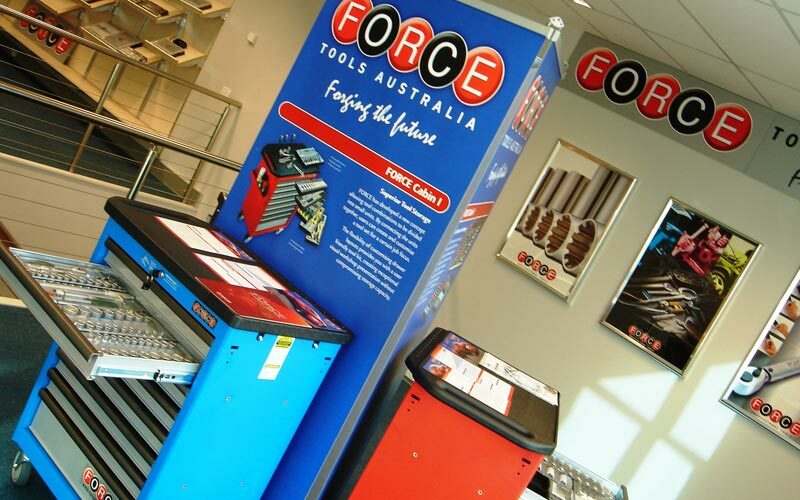 The long awaited FORCE tooling system is now available in Australia! This marks a new beginning in an exciting era of quality hand tools at affordable prices for the automotive and manufacturing sectors of our industry. 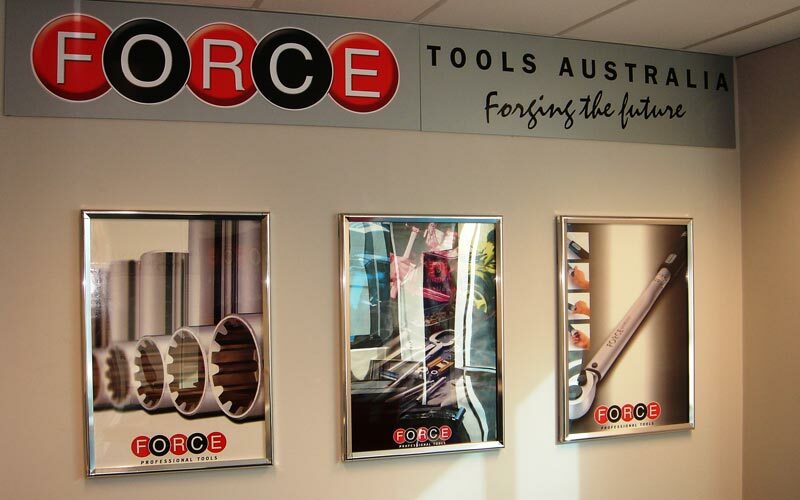 FORCE features fully modular and customised hand tool systems to allow total flexibility and convenience to all users. With escalating sales and excellent reputation in the European market, FORCE's oustanding quality meets the highly regarded TUV standard and includes DIN, ISO, 9001 & 2000. Global recognition has finally brought the FORCE modular systems down under to Australia. In today's modern day workshops it is becoming increasingly essential to operate with the highest level of efficiency without compromising quality. FORCE has taken this seriously and is pleased to introduce to you 3 brand new tool systems. FORCE has developed a new concept allowing tool combinations to be divided into small units. By connceting the units together, users can create and customise a tool set for a certain job focus. The flexibility of customising drawer layouts provides you with a user friendly tool kit, creating exceptional visual workshop presentation without compromising storage capacity. CABIN II allows more intricate tool combinations than CABIN I. Your flexibility and customisation extends well beyond your tool box. Modules can be removed as individual or multiple units and placed into a CABIN II box, protected by a clear cover. CABIN II provides the ultimate in convenience for on-site and off-site jobs. FORCE understands that each mechanic and technician has a different job focus which leads to individual preference and choice of tool. This has resulted in the creation of this unique system which allows each individual to design and create a fully customised tool set while still retaining a practical and professional presentaion.